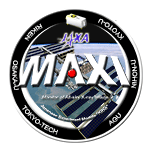 To Top > Experiment > News > MAXI's discovery and 200-day observations of MAXI J1535-571, one of the brightest X-ray novae of this century, are published in the astronomical journal of Japan! MAXI's discovery and 200-day observations of MAXI J1535-571, one of the brightest X-ray novae of this century, are published in the astronomical journal of Japan! A research group lead by Dr. Satoshi Nakahira, visiting researcher of JAXA from RIKEN, and Dr. Megumi Shidatsu, assistant professor at Ehime University, including other researchers in Japan carried out a 200-day observation for a new X-ray nova MAXI J1535-571 that had been discovered with the Monitor of All-sky X-ray Image (MAXI) mounted on the Exposed Facility of the Japanese Experiment Module "Kibo" of the International Space Station (ISS). An article summarizing the X-ray activities and research results was published in the on-line issue of September 11, 2018 of The Publications of the Astronomical Society of Japan. The MAXI J1535-571 was discovered on September 2, 2017 in the constellation Norma, and this source is now considered to be a black hole binary. Fifteen days later, the X-ray intensity increased by a factor of 100, five times higher than that of Crab Nebula. It is the highest among the X-ray novae discovered in this century and is ranked seventh in the entire observation history. The very bright X-ray of MAXI J1535-571 allowed us to investigate this peculiar X-ray nova with the short but repeated observations of MAXI, from the beginning through the ending of the activity. MAXI J1535-571 was also observed by many observatories in the world. The report on MAXI's observation of the entire activity of the nova was swiftly published. The data shown in the report will help researchers to proceed with more detailed studies.